Panelcraft of Dearborn, Mich., is recalling about 2,000 children’s magnetic building sets. This recall involves two styles of Panelcraft Rainbow magnetic building sets: Rainbow Dream Builder and Rainbow Solid Builder. Cinmar LLC of West Chester, Ohio, is recalling about 4,500 travel maps with magnets. If two or more magnets are swallowed, they can link together inside the intestines and clamp onto body tissues, causing intestinal obstructions, perforations, sepsis and death. Internal injury from magnets can pose serious lifelong health effects. 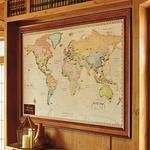 This recall involves World Magnetic Travel Maps with a burlwood frame. The world maps measure 54 inches wide and 36 inches tall and come with 50 magnetic markers. The maps affected by this recall have item number 145684 printed on the packaging. The maps, manufactured in China, were sold exclusively at Frontgate retail and outlet stores and online at www.frontgate.com from October 2015, through March 2016, for about $225. Consumers should immediately stop using the magnetic markers that came with the product, keep them out of reach of children and dispose of them or recycle them. Cinmar is contacting consumers who purchased the products directly and will provide instructions on how to receive replacement magnets. Consumers may contact Cinmar toll-free at 888-263-9850 from 8 a.m. to 7 p.m. (ET) Monday through Friday or online at www.frontgate.com and click on “Safety Recall Notices” at the bottom of the page for more information. Kringle Toys and Gifts of American Fork, UT, is recalling about 4,200 Nanospheres magnetic desk toys. The firm has received no reports of incidents or injury. The Consumer Product Safety Commission has received 80 reports of incidents involving ingestion of other high powered magnets, resulting in 79 reports seeking medical intervention. 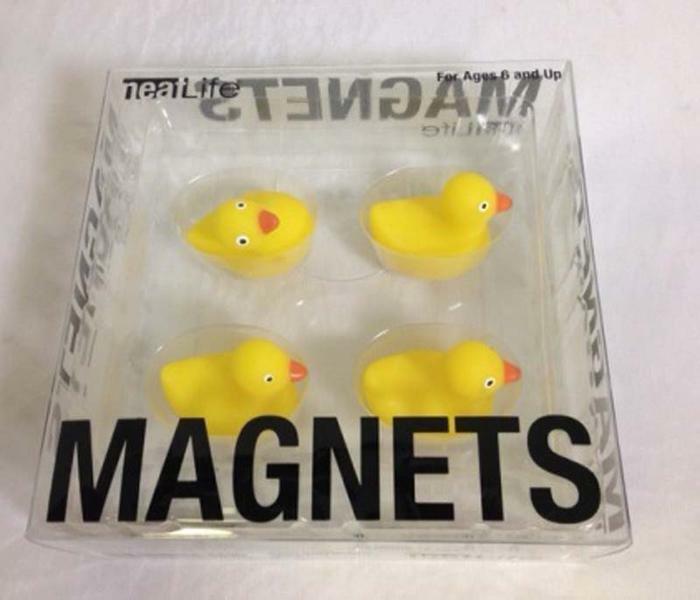 The magnets, manufactured in China, were sold at Amazon.com from November 2010 through December 2011 for about $25 to $30. Consumers may contact Kringles toll-free at (888) 801-1649 from 9 a.m. to 5 p.m. MT Monday through Friday, or by e-mail at customerservice@kringlestoysandgifts.com. Design Ideas Ltd., of Springfield, Ill., is recalling about 21,000 Design Ideas and Neatlife Rubber Ducky Magnets, 3,200 Design Ideas Blowfish, and 2,000 Splat Magnets. The small magnets can easily detach from the product. If swallowed, magnets can link together inside a child's intestines and clamp onto body tissues, causing intestinal obstructions, perforations, sepsis and death. Internal injury from magnets can pose serious lifelong health effects. This recall involves miniature office and refrigerator magnets sold in the shape of a duck, blowfish and a splat. A small magnet is affixed to the underside of the brightly colored plastic objects which were sold in sets of four or six. Model number 3205121 (duck), 993205114 (duck), 3205122 (blowfish) or 3205078 (splat) is printed on the bottom of the packaging. “Magnets” and the Design Ideas’ logo are printed on the front of the package. All the magnets were manufactured in China. Rubber ducky magnets were sold at Nordstrom’s Rack stores, novelty and gift stores, book stores and art stores nationwide from March 2007, through September 2013, for about $10. Blowfish magnets were sold at novelty and gift stores, book stores and art stores nationwide from March 2007, through March 2011, for about $10. Splat magnets were sold at CB2 stores, novelty and gift stores, office supply stores and art stores nationwide from November 2012, to February 2014, for about $10. Consumers should immediately stop using the recalled magnets place them out of reach of children and contact Design Ideas for a refund. Consumers may contact Design Ideas at (800) 426-6394 from 8 a.m. to 5 p.m. CT Monday through Friday. If you own Buckyballs and/or Buckycubes you have a refund coming. These loose, high powered magnets pose a deadly risk to young children, tweens, and teens, if ingested. The U.S. Consumer Product Safety Commission (CPSC) is urging consumers to immediately stop using these loose, high powered magnets, which pose a deadly risk to young children, tweens, and teens, if ingested and visit BuckyballsRecall.com to request a refund. The website has an online registration page to file a claim that is active and easy for consumers to use. Consumers may receive a refund no greater than the purchase price of the product, and partial refunds may be provided depending on the number of magnets returned. Consumers have until January 17, 2015 to submit requests to the Trustee for refunds. The U.S. Consumer Product Safety Commission (CPSC) has voted 4 to 0 to issue a notice of proposed rulemaking aimed at developing a new federal standard for small, high-powered magnet sets. CPSC staff estimates that small, high powered magnet sets were associated with 1,700 emergency room-treated injuries between 2009 and 2011. The majority of injuries (70 percent) have been to children 4 to 12 years of age. Many of these magnet sets are marketed as sculptures, puzzles, and stress relievers and are labeled not for use by children. However, CPSC staff believes these magnet sets have strong appeal to children and pose a potential for high-severity injuries. If swallowed, these magnets can link together inside a child's intestines and clamp onto body tissues, causing intestinal obstructions, perforations, sepsis and death. Internal damage from magnets can pose serious lifelong health effects. The proposed mandatory standard would set performance requirements for magnet sets based on their size and strength. Magnet sets that do not meet the performance requirement could not be sold as a manipulative or a desk toy. The proposed rule has a 75 day public comment period. Star Networks USA of West New York, N.J., is recalling all Magnicube Spheres and Magnicube Cubes as part of the settlement of an administrative case filed by CPSC staff in December 2012. The recall is intended to protect children and teenagers from the deadly risk of injury that can occur when more than one magnet is ingested. Consumers are urged immediately stop use of all Magnicube Spheres and Magnicube Cubes immediately and check for magnets that have become separated from the set. Star has agreed to provide a full refund to consumers who return a full set of Magnicube Cubes or Magnicube Spheres. Consumers who return less than a full set will receive a prorated refund based on the percentage of magnets returned. Consumers should contact the firm at www.magnicube.com to request a refund. 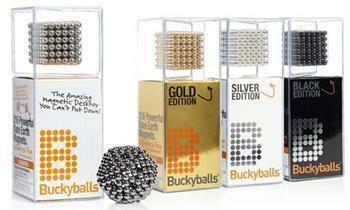 Six retailers are recalling all Buckyballs and Buckycubes high-powered magnet sets, as they contain defects in the design, warnings and instructions that pose a substantial risk of injury and death to children and teenagers. The U.S. Consumer Product Safety Commission (CPSC) has received 54 reports of children and teens ingesting this product, with 53 of these requiring medical interventions. Imported by Maxfield & Oberton LLC, of New York, Buckyballs and Buckycubes consist of sets of numerous, small, high-powered magnets. These sets vary in the number of magnets included and come in a variety of colors. Individual magnets in the set are about 5 millimeters in diameter. 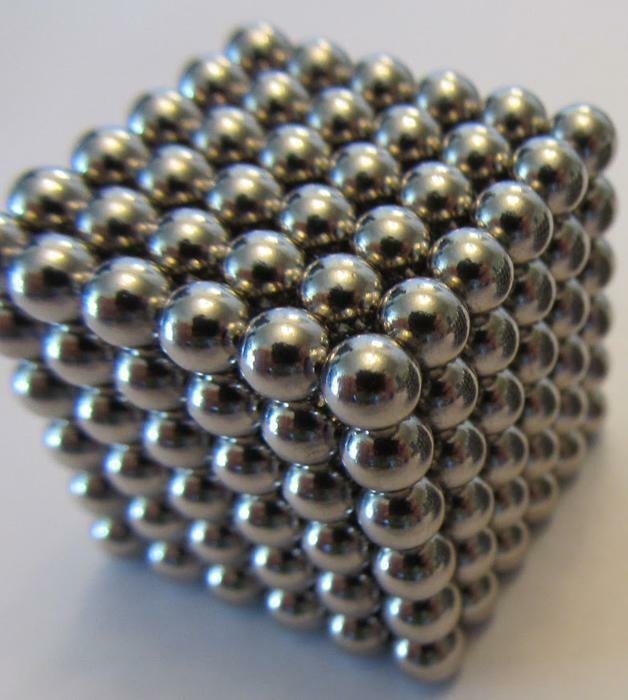 Individual magnets in Buckyballs are spherical and individual magnets in Buckycubes are cube-shaped. About three million sets of Buckyballs and Buckycubes have been sold in U.S. retail stores nationwide and online since 2010 for between $5 and $100. These retailers have agreed to participate because Maxfield & Oberton has refused to participate in the recall of all Buckyballs and Buckycubes. In July 2012, CPSC staff filed an administrative complaint against Maxfield & Oberton Holdings LLC, of New York, N.Y., after discussions with the company and its representatives failed to result in a voluntary recall plan that CPSC staff considered to be adequate to address the very serious hazard posed by these products. This type of legal action against a company is rare, as CPSC has filed only four administrative complaints in the past 11 years. 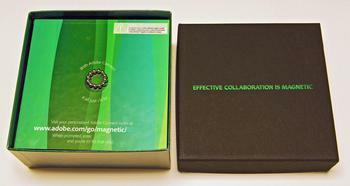 Adobe of San Jose, Calif., is recalling about 500 high-powered magnets distributed with Adobe Connect “Effective Collaboration is Magnetic” promotional materials packages. The firm has received no reports of incidents or injuries. The Consumer Product Safety Commission has received 80 reports of incidents involving ingestion of other high powered magnets, resulting in 79 reports seeking medical intervention. This recall involves high-powered magnet sets distributed with Adobe “Effective Collaboration is Magnetic” promotional materials. The promotional materials were distributed in a green box with a black lid and contain 12 high-powered magnets which are magnetically affixed to a laminated green cardboard sheet. The spherical silver magnets are about 5 millimeter in diameter. The text “With Adobe Connect it all just clicks” is printed in a circular shape around the magnets. The magnets, manufactured in China, were distributed nationwide by Adobe as part of a promotional package for its “Adobe Connect” product during November 2012 at no cost to consumers. Consumers should immediately stop using the magnets and either discard them or contact Adobe for instructions on returning the magnets. Consumers may contact Adobe Recall collect at (503) 382-8500 between 10 a.m. and 6 p.m. Monday through Friday, ET. Doctors and safety advocates are pressing for a ban on high-powered novelty and toy magnets, arguing that strong regulation is the only way to prevent children from swallowing the magnets, which can bind together in the digestive system and cause serious injury or death. They testified yesterday at a public hearing called by the U.S. Consumer Product Safety Commission (CPSC), which is considering rules that would prohibit the sale of high-powered magnet sets. The rule would apply to magnets that fit within the CPSC’s small parts cylinder and have a flux index (or strength) of more than 50. The CPSC took action in response to a growing number of documented pediatric ingestions of magnets from magnet sets. "CFA strongly supports CPSC's determination that there is an unreasonable risk of injury associated with children ingesting high powered magnets," stated Rachel Weintraub, Legislative Director and Senior Counsel at Consumer Federation of America. "Data from CPSC and from pediatric gastroenterologists across the country documents the serious medical consequences that occur as a result of a child ingesting more than one high powered magnet. The unique properties of these magnets compel a regulatory solution such as the one CPSC has proposed, that would protect children from the severe consequences of ingesting more than one of these magnets." 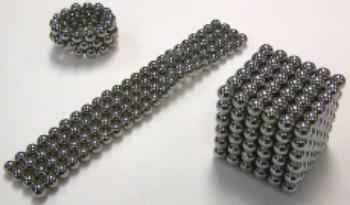 High-powered magnet sets, marketed under names such as Buckyballs and Zen Magnets, are comprised of tiny high-powered magnet balls or cubes, often with 200 or more magnets to a set. When more than two magnets are swallowed, their attractive force (flux) allows them to find each other across or between different segments of the bowel. For example, connections can occur between the stomach and the small intestine, between the small intestine and the colon, or across loops of bowel. When this happens, the result can be bowel perforation, fistulization (unnatural connections of the bowel), or tissue death (necrosis). The danger is heightened by the difficultly of a timely diagnosis. Ingestion of magnets does not result in immediate symptoms, so there can be a marked delay in diagnosis and treatment, yet injury can occur in as little as eight hours. When symptoms do occur, they are non-specific (abdominal pain, fever, vomiting) and may resemble other common ailments. High-powered magnets are not like other small foreign objects that children typically swallow, experts testifying the hearing said. According to a 2012 study by the North American Society for Pediatric Gastroenterology, Hepatology and Nutrition (NASPGHAN), nearly 80 percent of high-powered magnet ingestions cases require endoscopic or surgical intervention. Comparatively, only 10 to 20 percent of other foreign body ingestions require endoscopic removal and less than 1 percent require surgery. “Actions taken to date by the Commission appropriately reflect the risk of significant and life-threatening injury that these magnet products pose to children," said Athos Bousvaros, M.D., NASPGHAN president. "There is nothing worse as a physician than treating a child with a preventable injury. High-powered magnet ingestions are 100 percent avoidable if they are not available, which means banning their sale and doing everything possible to remove products already sold from any environment where children live, visit, play or learn." Discount School Supply of Monterey, Calif., is recalling about 3,700 Excellerations magnetic color sorting boards. The magnet in the wand can detach and the plywood backing can crack and release small metal balls that are sandwiched between the board and a clear plastic cover. These pose choking and serious internal injury risks associated with ingestion of a magnet and metal ball. Additionally, the surface paint on the metal balls contains levels of lead that exceed the federal lead paint standard. The company has received six reports of the plywood backing cracking and making the small metal balls accessible to children, and two reports of the magnet detaching from the wand. No injuries have been reported. 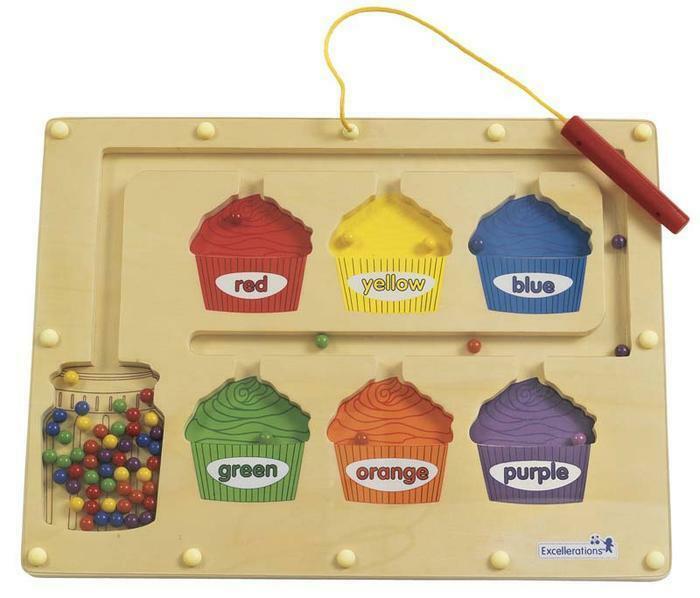 This recall involves Excellerations magnetic color sorting boards with cupcake cut-outs that are used to teach color and sorting to young children. The recalled sorting board is made of plywood and is 16 inches wide and 12 inches high and has the Excellerations name and logo on the front in the bottom right corner. A clear plastic cover is attached to the board by rivets and a 4-inch long wand with a magnet in one end is attached to the top of the board by a 13.5-inch plastic cord. The face of the board has one jar-shaped cut-out and six cupcake-shaped cut-outs that are colored red, yellow, blue, green, orange and purple. Beneath the cover are about 60 multi-colored metal balls, each 1 centimeter in diameter. Children use the wand to move the balls around the board through channels from the jar to the cupcakes. The boards, manufactured in China, were sold at discountschoolsupply.com from January 2013, through March 2014, for about $36. Consumers should immediately stop children from using the recalled board, put it out of their reach and sight, and contact the company for a full refund. Consumers may contact Discount School Supply at (800) 338-4430 from 7 a.m. to 7 p.m. CT Monday through Friday. 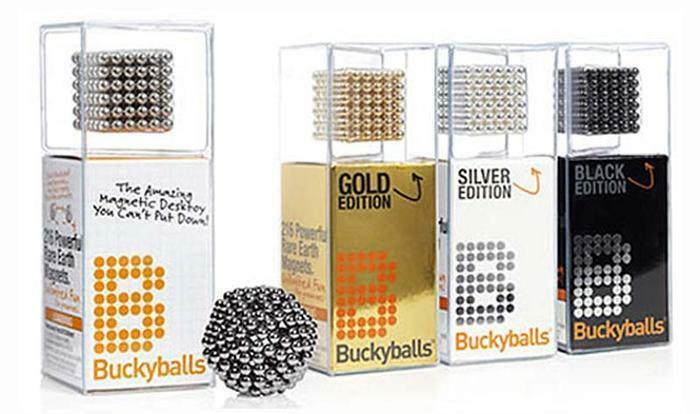 Another round of Buckyball and Buckycube recalls is getting underway, in an attempt to curtail serious injuries to children who swallow the small but powerful magnets. The Consumer Product Safety Commission (CPSC) said it has reached a settlement with Craig Zucker, the former CEO and President of the company that manufactured Buckyballs and Buckycubes, Maxfield and Oberton, which was dissolved in 2012. The bb-shaped smooth balls and cubes connect to one another with a strong magnetic bond. 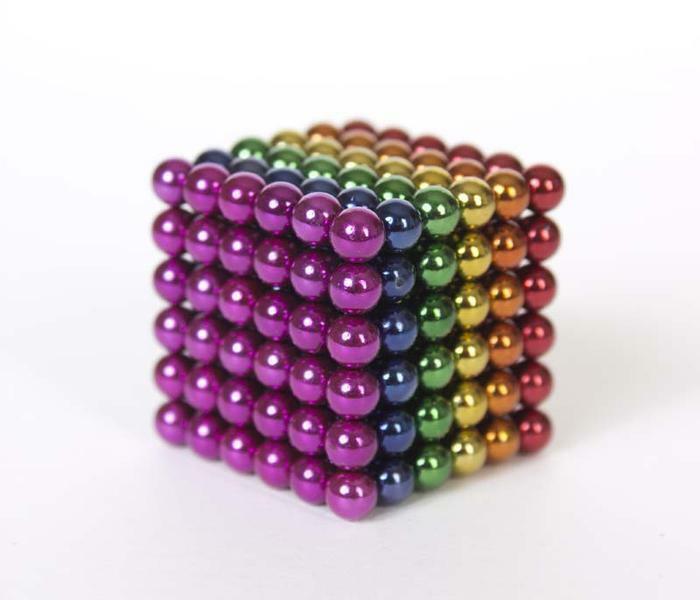 The magnets are individual balls or cubes that are sold in packages of many individual balls. They were originally sold as toys to children over 13 years of age, but after a recall in 2010, they are sold only to consumers age14 and older. But the CPSC said the new warning label that has appeared on the package of Buckyballs since the 2010 recall has not resulted in a decrease in serious injuries to children. In November of 2011, CPSC issued a safety warning to consumers about this product but the injuries continue to occur. In July of 2012, CPSC filed a lawsuit against that resulted in the settlement announced earlier this week. The magnets are of great interest to children of all ages: younger children mistakenly believe they are candy while older children use these products as faux facial piercings. The consequences of inhaling or swallowing more than one of the magnets can be severe. Children are at risk of developing serious injuries such as small holes in the stomach and intestines, intestinal blockage, blood poisoning, and even death. Removing magnets surgically often requires the repair of the child’s damaged stomach and intestines. In the past, physicians have likened the internal damage caused by magnets to that of a bullet wound. Consumers will have six months to participate in the recall by requesting a refund. The recall trust will be funded by Craig Zucker and will be overseen by the CPSC. 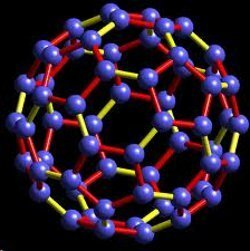 It is illegal under federal law for any person to sell, offer for sale, manufacture, distribute in commerce, or import into the United States any Buckyballs or Buckycubes. Faced with increasing reports of children swallowing high-powered magnets, federal safety regulators are reminding parents that magnets and kids don't mix. Although the risk scenarios differ by age group, the danger is the same, the Consumer Product Safety Commission (CPSC) said. When two or more magnets are swallowed, they can attract one another internally, resulting in serious injuries, such as small holes in the stomach and intestines, intestinal blockage, blood poisoning and even death. Reports of incidents involving these high-powered ball-bearing magnets have increased since 2009. Specifically, CPSC received one incident report in 2009, seven in 2010 and 14 through October 2011. These 22 incidents have involved children ranging in age from 18 months to 15 years old. Of the reported incidents, 17 involved magnet ingestion and 11 required surgical removal of the magnets. When a magnet has to be removed surgically, it often requires the repair of the child's damaged stomach and intestines. High-powered magnets and magnet components that are of a size that can be swallowed are prohibited in toys for children younger than age 14. The reported incidents involve magnets that are marketed as desk toys and stress relievers for adults who use the magnets to create patterns and build shapes. Often, they are sold in sets of 200 or more magnets in stationery, office supply and gift stores, and also on the Internet. "We sell our magnetic desk toy product, Nanospheres, on Amazon.com for adults only. As the Amazon product description and warning labels on the product itself state, these products are hazardous if ingested and are not appropriate for young children," said Dan Taggert, CEO of Kringles Toys and Gifts, manufacturer of Nanospheres. "High-powered magnets, such as Buckyballs, are products for adult use only and should be kept away from all children," said Craig Zucker, CEO of Maxfield and Oberton, the manufacturer of Buckyballs. Keep small magnets away from young children who might swallow them. Look out for loose magnet pieces - and regularly inspect toys and children's play areas for missing or dislodged magnets. If you suspect that magnets have been swallowed, seek medical attention immediately. Look for abdominal symptoms, such as abdominal pains, nausea, vomiting and diarrhea. Note that in x-rays multiple magnetic pieces may appear as a single object. Battat Inc. is recalling about 125,000 'Magnabild' magnetic building sets. Small magnets inside the building pieces can fall out. Magnets found by young children can be swallowed or aspirated. If more than one magnet is swallowed, the magnets can attract each other and cause intestinal perforations or blockages, which can be fatal. This recall involves the 293-piece (item number BB1502H) and the180-piece (item number BB1431H) Magnabild Magnetic Building System sets. Both sets come in rotating display cases that contain 1-inch and 4-inch rods with magnets, curved 1-inch rods, triangle and square pieces with magnets, square-shaped plastic building pieces, triangles and 5-sided pieces, and metal balls. The pieces come in different colors. All of the plastic building pieces, except the 4-inch flexible rods, have the word Magnabild in raised lettering on them. The item number is found on a hang tag attached to the set. The product is designed for children older than three years. The sets, manufactured in China, were sold at various retailers nationwide and online sellers from 2005 through 2007 for between $30 and $40. 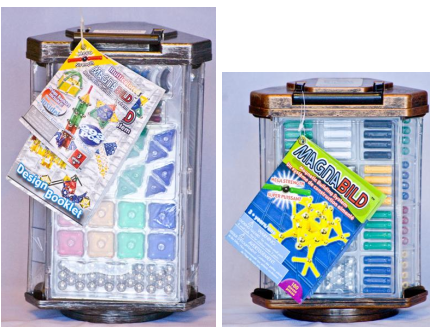 Consumers should immediately take the recalled Magnabild Magnetic Building System away from children and contact Battat to receive a pre-paid mailer to return the toy and to receive a free replacement product. Consumer Contact: For additional information, contact Battat at (800) 247-6144 between 8 a.m. and 4:30 p.m. ET Monday through Friday or visit the firms Web site at www.battaco.com. January 23, 2008 Battat Inc. is recalling about 125,000 'Magnabild' magnetic building sets. Reports of at least three serious injuries have prompted the recall of more than 2 million Mattel's Polly Pocket Magnetic Play Sets. Tiny magnets inside the dolls and accessories can fall out undetected by parents and caregivers. The magnets can be swallowed, aspirated by young children or placed by a child in their nose or ears. When more than one magnet is swallowed, the magnets can attract each other and cause intestinal perforation, infection or blockage, which can be fatal. Aspiration to the lungs requires immediate surgery. Magnets placed in the nose or ears can cause swelling and be difficult to remove. CPSC is aware of 170 reports of the small magnets coming out of these recalled toys. There were three reports of serious injuries to children who swallowed more than one magnet. All three suffered intestinal perforations that required surgery. A 2-year-old child was hospitalized for seven days and a 7-year-old child was hospitalized for 12 days. An 8-year-old child was also hospitalized. The recalled Polly Pocket play sets contain plastic dolls and accessories that have small magnets. The magnets measure 1/8 inch in diameter and are imbedded in the hands and feet of some dolls, and in the plastic clothing, hair pieces and other accessories to help the pieces attach to the doll or to the doll's house. The model number is printed on the bottom of the largest pieces on some of the play sets. Contact Mattel if you cannot find a model number on your product to determine if it is part of the recall. Polly Pocket magnetic play sets currently on store shelves are not included in this recall. November 22, 2006 Reports of at least three serious injuries have prompted the recall of more than 2 million Mattel's Polly Pocket Magnetic Play Sets. Mega Brands America Inc., of Livingston, N.J., formerly Rose Art Industries Inc., has agreed to pay a $1.1 million civil penalty, settling allegations that the company failed to provide the government with timely information about dangers to children with Magnetix magnetic building sets, as required under federal law. In December of 2005, Rose Art filed an "initial report" with the Consumer Product Safety Commission that a 22-month-old child from Washington state had died, due to ingesting multiple magnets that fell out of pieces from a Magnetix set. The report contained no other product or incident information and Rose Art attributed the magnets falling out to unusually abusive play by the toddler's older siblings. On February 1, 2006, Rose Art submitted a full report that again lacked incident and product information, the agency said. Rose Art stated that it did not retain any complaint or incident records. On March 31, 2006, Rose Art voluntarily recalled nearly 4 million Magnetix sets for users under the age of 6. After discovering documents that led CPSC staff to believe Rose Art had compiled incident information, a subpoena was issued to the firm — which had been renamed Mega Brands America and was under new ownership and control — to obtain product and incident information. CPSC said it learned through the subpoena that at the time Rose Art filed its "initial report" in December 2005, it had received over 1,100 consumer complaints that magnets had fallen out of plastic pieces from dozens of different Magnetix models. Additionally, the subpoena revealed that Rose Art had received at least one report of an injury due to magnet ingestion, prior to the toddler's death in Washington state. By the time Rose Art agreed to the recall of Magnetix in March 2006, it had received more than 1,500 complaints of magnets falling out of plastic pieces in more than 65 different models of Magnetix, according to the CPSC. In April 2007, Mega Brands America expanded the recall of Magnetix sets for users of any age, after more than 25 children suffered intestinal injuries that required surgery to remove the magnets. Federal law requires firms to report to CPSC within 24 hours of obtaining information reasonably supporting the conclusion that a product contains a defect which could create a substantial product hazard, creates an unreasonable risk of serious injury or death, or violates any consumer product safety rule, or any other rule, regulation, standard, or ban enforced by CPSC. In agreeing to settle this matter, Mega Brands America and its parent, Mega Brands Inc., of Montreal, Canada contend that 1) Mega Brands Inc. did not know of the Magnetix defect at the time it acquired Rose Art and 2) Rose Art's prior owners never advised Mega Brands Inc. of the problems of associated with Magnetix. CPSC said it strongly encourages consumers to check to see if they have any of the recalled building sets and return them to Mega Brands for a free replacement toy. Potentially millions of recalled units remain in homes today and accessible to young children. There was a good reason for your mom to tell you not to put your toys in your mouth: they can hurt you. In an effort to prevent children from suffering further harm, U.S. Consumer Product Safety Commission (CPSC) staff has filed an administrative complaint against Maxfield & Oberton Holdings LLC, of New York, alleging that Buckyballs and Buckycubes contain a defect in the design, packaging, warnings, and instructions, which pose a substantial risk of injury to the public. The complaint seeks -- among other things-- an order that the firm stop selling Buckyballs and Buckycubes, notify the public of the defect, and offer consumers a full refund. In response to a request from CPSC staff, a number of retailers have voluntarily agreed to stop selling Buckyballs, Buckycubes, and similar products manufactured by other companies. CPSC staff called upon these retailers to cease distribution of high-powered, manipulative magnetic products after dozens of young children and teenagers swallowed multiple magnets, which connected inside their gastrointestinal tracts and caused internal injuries requiring surgery. eBay has also agreed to implement steps to remove listings by sellers for these items. The commission staff filed the administrative complaint against Maxfield & Oberton after discussions with the company and its representatives failed to result in a voluntary recall plan that considered to be adequate. This type of legal action against a company is rare; this is only the second administrative complaint filed by CPSC in the past 11 years. At the time of the 2010 recall, Maxfield & Oberton was aware of two reports of children swallowing one or more magnets without injury. Subsequent to the recall, CPSC staff continued to receive reports of children ingesting the product and learned of incidents in which children had suffered injuries when the magnets attracted to each other through the victim’s gastrointestinal tract. In subsequent months, staff learned of one dozen surgeries, including numerous surgeries that involved Buckyballs. Due to the number of ingestion incidents received by CPSC staff since the 2010 recall announcement and 2011 safety alert, CPSC staff seeks the remedies outlined in the complaint to stop further incidents and injuries to children.